A defining moment for the Dominican Order was its defense of Thomas Aquinas. 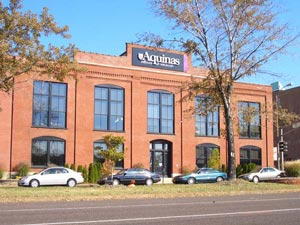 The Order’s backing of Aquinas was not without controversy. Surprisingly, little has been written of Meister Eckhart’s contributions to this critical debate. Eckhart, a renowned preacher, master of Paris, and provincial of Saxony (1303-1311) also served as vicar for three Dominican masters general. This lecture offers a brief survey of the controversy, explores the values Dominicans found in Aquinas’ thought, considers Eckhart’s use of Aquinas and suggests themes still valuable in contemporary Dominican studies. On Monday there will be a seminar in the morning for faculty and students followed by the Eucharist and a luncheon. What a great way to honor our patron and for me to promote Meister Eckhart. In the past the lectures have been video recorded and posted on the shool's website. I will have more information on this later. Well after two years in Oxford I made the trek back to America spending Christmas in the great southwest of New Mexico with family and friends. 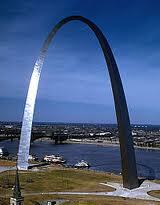 In early January I began the task of relocating to St. Louis Missouri where I will be January to September. The plan is to return to Oxford for the Fall and see what lies ahead. I will be teaching at the theology school sponsored by the Central Dominican Province, Aquinas Institute of Theology (a.k.a. AI). I am looking forward to being back in St. Louis and reconnecting with people. The school stands adjacent to St. Louis University and we have amazing resources because of that. The students are a good mix of religious and lay. I will be for the semester the 'Visiting Professor for Dominican Studies' and teaching two courses as well as some additional talks. I will also be doing some 'part-time' work at the Catholic Student Center at Washington University. More on that when I get settled. St. Louis has changed since I was last here. It seems like a city on the rise so I think I will enjoy rediscovering it. I noticed that the link to Meister Eckhart's sermon on the Trinity 'Deus pacis' was not properly linked, so people were not able to access it. It is a shame as it is a lovely reflection on the Trinity translated by Karmen Lenz and myself. Eckhart uses the Scripture passage from II Corinthians 13 verse 11 The God of Peace and Love be with you for his meditation on the Trinity. The mystery of God's three-fold unity is a rich theological notion that every preacher struggles to treat. Here we see Eckhart, the preacher and teacher, beautifully presenting this mystery. 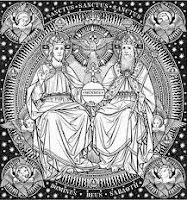 Just to let you know we are working on completing the remaining two sermons on the Trinity and we hope this summer will give us the time needed. Hope is the key word. 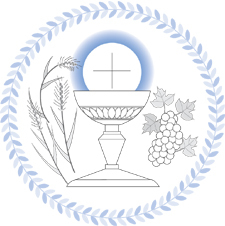 The three sermons (really two sermons and one gloss) by Eckhart for the feast of Corpus Christi have been posted and are complete. Please check them out. These are of particular interest given their clear affiliation with the thought of Thomas Aquinas. Here we can see the impact of Aquinas on the thought of Meister Eckhart. Once we begin to examine the Dominican influences in Eckhart it is evident that modern scholarship has very often tended to overlook this aspect of Eckhart, leading to mis-readings of the Meister. Allow me to once again apologize for my delays in getting to the last edits on Project 3, Eckhart's Corpus Christi Sermons I, II, and III. I have no other excuse apart from bad timing and being in one place and the materials I needed on another continent. Followers of the blog will be glad to know that we will be posting this selection and the work done by Brian FitzGerald has been outstanding. I am grateful for the generous work being done by these individuals who freely share their time and support this project to make the works of Meister Eckhart available online. It is edifying to know how even in the midst of their many obligations they have made time for this worthwhile project. Thanks to those working on these efforts and a special appeal to others who might be interested in sharing in this project. My mother always said ‘many hands make light the labor’. I have to post this. It is a bit different from the AYCARDUS Project's normal works but it offers a diversion. I recently published a novel on the death of Meister Eckhart. I began wondering what we could say about his final years. Studying the facts that we have on this great preacher's death put forth a new set of questions. After years of studying Eckhart, asking about the facts, I began asking a different set of questions. Only then did the facts begin to reveal their secrets. Slowly the facts and events began to tell a story of their own, a most engaging story. As I worked, it seemed to me that an academic article would be too difficult to do credibly and be of much interest to the reader. The more I wondered about the facts the more I knew that there was a story that needed to be told. But it is a story with a twist. The boy's body lay on the deck, wet and motionless. I recognized him as the crewman who earlier feared the River Witch. I don't know how the past hour unfolded but it was the closest to the torments of hell I have known in this life. We had just cleared the third and largest of the river islands and with each passage the force of the river narrowed and its roll became more violent. The captain had kept the sails full to push against the current and the two rudder men were angling the ship into a somewhat calm passage up the Mosel. It seemed all too perfect, all too flawless. . . .
(from chapter 3, 'The River Journey' in The Death of Magister Aycardus by M. Thomas-Paul Demkovich). or from amazon.com and other retailers. Status report (of sorts). . . In October I participated in the XXIII Eckhart Conference held at All Saints Pastoral Centre in London Colney, UK. The papers were excellent and on a variety of topics from neuroscience to the Our Father, from Nothingness to Chinese philosophy. My role was a bit of an experiment. I was the 'Spiritual Narrator' and my task was to offer comment and observations on the spiritual aspects for the group. I must say it was well received and I was particularly glad that the presenters all found it enhanced their papers. Our translations are making progress and I will confess that the summer months were difficult to focus on them. Three are moving along nicely and my hope is that you will begin to see the fruits of this labor beginning in November. Chief among these will be an excellent article by Rupert Mayer, OP which examines the influences of Aquinas and Dietrich von Freiburg in Eckhart on the question of esse. I have also gotten word that the first of his sermons on the Trinity is in final revisions, and that the sermons for Corpus Christi are coming along and 'hoping to finish soon'. On another note. I am nearing completion of a work on Meister Eckhart but not the usual sort of thing. I have taken a stab at writing an historical fictional novel on Eckhart. I recently recounted to a friend that the difference between the scholarly pieces on Eckhart I have done and this fictional work has been telling. In the academic writings I have limited my examination of the data to a critical reading. 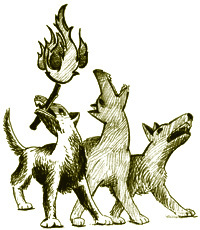 Now, in the world of fiction, the same data has been approached not from the aspect of facts, though the facts remain. Rather, it has been approaching these facts from the aspect of their narrative, the story they suggest. Behind the facts are so many questions of why, or when or how that contain a story that longs to be told. I hope that it will be available in Spring, 2011 and will post more information in the future. 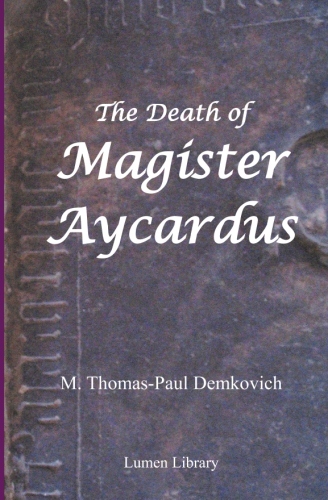 The title will be: The Death of Magister Aycardus. I think that is the latest news and hope to post blogs more frequently now that the cold is curtailing my romps.